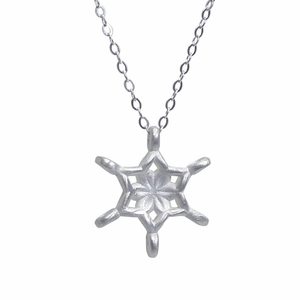 A silver snowflake in a playful "Splash" dish. 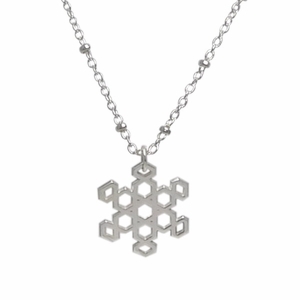 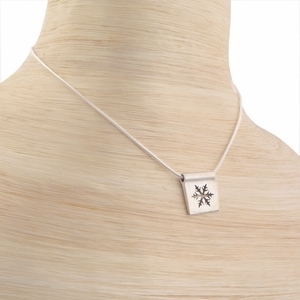 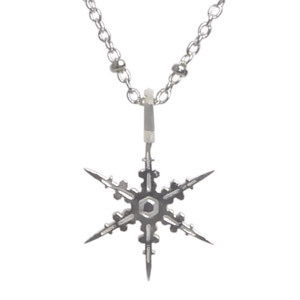 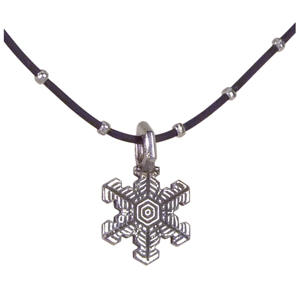 You have a choice of snowflake pendants for this gift. 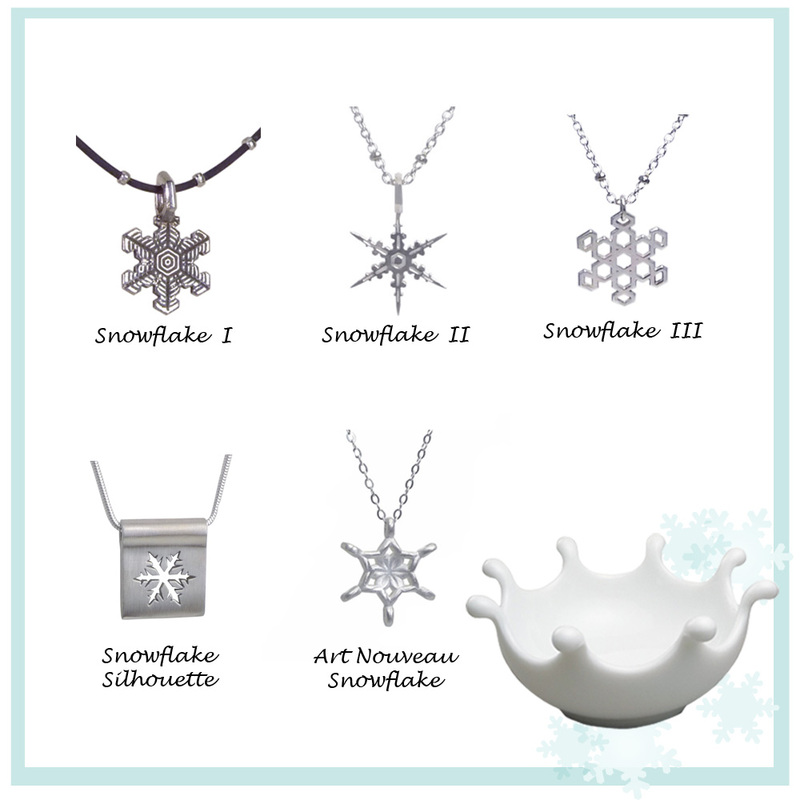 Each of these is solid sterling silver and is an original design at Architects Touch. A chain is included, along with this playful Splash dish. 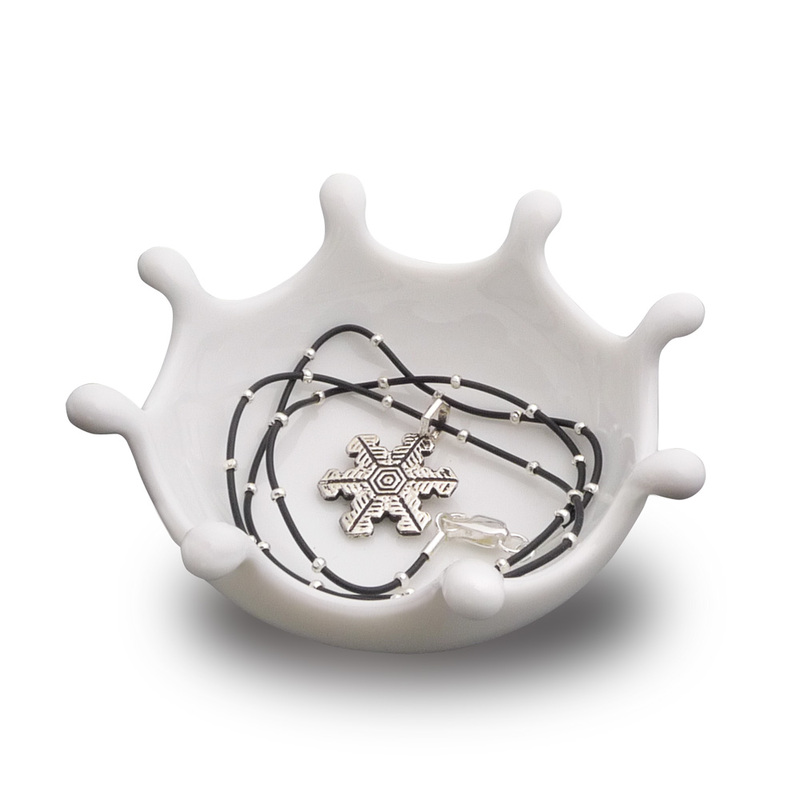 The ceramic dish is imported from Japan, and is a fun way to hold jewelry and other small items.